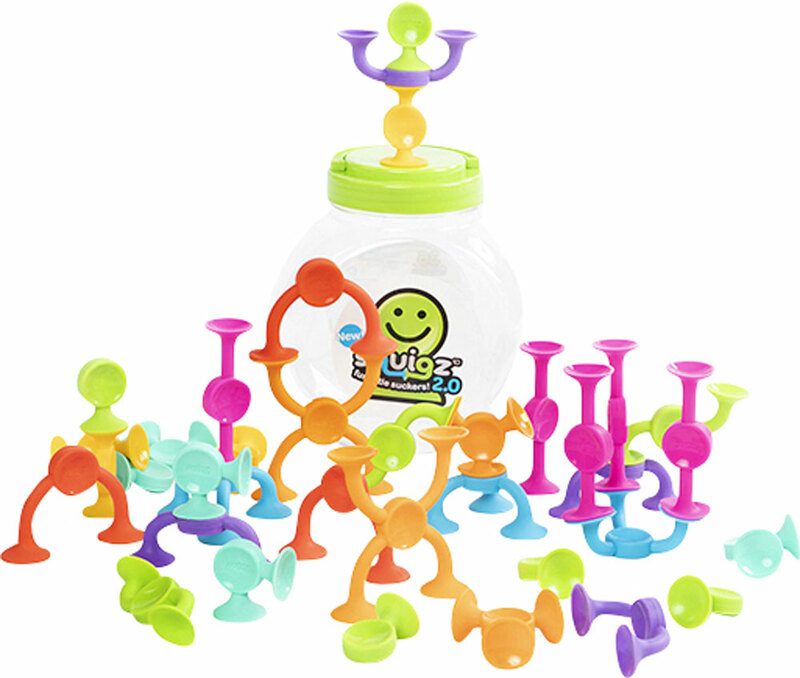 Curvy suction-cup building pieces are pleasantly pliable, so push them together to build wiggly, wobbly creations – then pull them apart to hear "POP!" 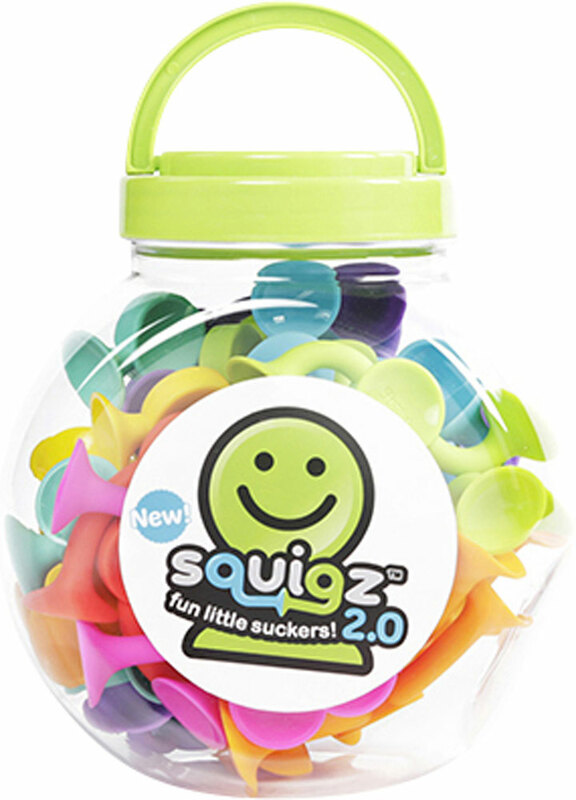 100% food grade silicone, BPA and latex-free, they'll stick to any smooth surface, especially the bathtub. For ages 3-7 yrs, from Fat Brain Toys.